With the summer season in full swing – get your OOTDs ready and your summer playlist updated. Pursue brand-new summer experiences by finding your happy place in a new destination, or even jumpstart your adrenaline just by doing something for the first time. Make this your summer to remember with Sony cameras and lenses to capture your best moments yet. Just don’t forget to bring the perfect sound trip buddy for the long idle moments and beach bumming days -- Sony’s headphones and portable speakers. 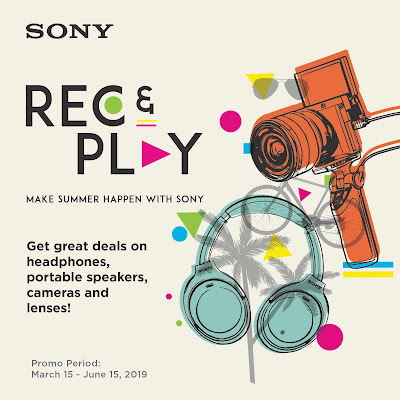 Make your best summer ever possible with Sony’s REC and Play promo as you score up to Php 30,000 discount on select cameras and 15% discount on headphones and personal audio products. Summer is one of the best seasons to hone your photography and cinematography skills. Take advantage of the fiesta season to take amazing shots using Sony’s Alpha cameras which you can have for less this season. Save up to Php 30,000 and get more memory space with the free SD cards! If you’re looking into expanding your gear, Sony also offers a wide range of lenses for less. Love taking photos, but hate bringing big cameras? Sony’s line of compact and light weight cameras, the RX series, is perfect for you. Get discount for every purchase and premium items from the offer bundle! Can’t live without the action? You can take Sony’s Action Cam with every dive, every ride, and every climb. Powered by 4K Ultra HD recording and balanced optical steady shot, it provides true-to-life quality videos. Save up to Php 5,000 and get free SD card and leather case when you buy Sony’s FDR- X3000R and HDR-AS300R. Good energy, good vibe. Sony’s Extra Bass line of headphones and portable speakers is your go-to summer companion. Party anytime, anywhere with its deep punchy bass that can take your EDM tracks to a whole new level. Worried about delayed flights and bad traffic? Let it be and just take yourself to an eargasmic adventure with your favorite beats. You can also trust these gadgets for their long battery life that can last up to 24 hours long. Get up to 15% discount on select headphones and portable speakers. Go wireless with noise canceling in-ear products like the WF-SP700N or try the WH-1000XM3 if you’re into over-ear wireless headphones. Be extra bass ready anytime, anywhere with SRS-XB Bluetooth speakers series, and fuel that hike with the MDR- XB510AS washable in-ear headphones featuring an extra bass sound that would make your summer the best for less . 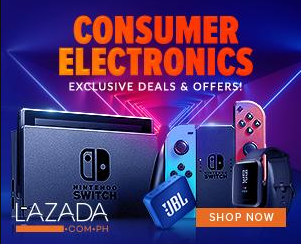 Make the best summer happen with Sony this 2019! Check out these amazing deals and discounts Sony’s REC and Play promo https://www.sony.com.ph/microsite/RecordAndPlay/ Promo is now available in all Sony Centres and Sony Authorized Dealers until June 15, 2019.